Matt Taylor is a designer, inventor, teacher, facilitator, sailor and entrepreneur. He has focused a fifty-two year career on the application of architectural design methods to solving complex, systemic problems found at the intersection of physical environments, ecologies, organizational practices and visionary ideas. This work involves business processes, tool-sets and software programs, and includes their expression and utilization in the design, construction and use of virtual and physical environments for collaborative work and sustainable creative living. The components of these environments, and the environments themselves, are designed and built in regards their fit with, and long term impact on, social-economic-ecological systems. His theoretical foundation is based on the principles of organic architecture [link] and the sciences of general systems theory, cybernetics and complex adaptive systems. He has made a lifelong study of the human creative process and how individual and group creativity is augmented by the artful integration of technology, environment and work processes. These disciplines and insights of human creativity are treated as a single phenomenon that can be applied to the design of artifacts and systems of all kinds on a broad range of scales. His practical foundation is based on professional work as a designer, project manager, engineer, business manager, builder, facilitator and teacher across a wide variety of application environments: architecture, construction, business start up, financial services, manufacturing, government, military, technology, product development, education, social policy and strategy. The sum of his work is outlined in a System and Method [link] (co-invented with partner and wife Gail Taylor [link]) which was issued US patent 6,292,830 in September 2001 and is in pending status with several foreign patent offices. A short description of this work is a functional patent that describes the tool sets, work processes, environments - as an integrated system - necessary for augmenting complex emergent systems: humans, teams, ValueWeb communities, technical infrastructures, as an economy. The long answer is 600 pages [link] of text, diagrams and algorithms. Several other patents which extend and augment this work are in pending status. These companies apply the patented System and Method to create an operational ability to deal with complexity, the rate of change and the requisite-variety problem. These companies provide goods, products and services - related to collaborative, high-performance environments and the creation of working ValueWeb [link] structures - in partnership with organizations of many types located throughout the world. MG Taylor has licensed several organizations to provide services based on the Taylor Method internally and in the market. Matt is an instructor at the San Francisco Institute of Architecture [link] and is completing his Thesis [link] for a Masters Degree from SFIA. He has served as a board member or advisor to startup software companies including Consensus, NetDeva [link] (now part of Linkon) and BitPhone, and served as a Kitchen Cabinet member of the Enterprise Information Services (EIS) Jacobs Sverdrup Corporation. His personal client facilitation and knowledge-transfer practice includes work with a diverse body of organizations: NASA, Knight Ridder, HP, Electronic Arts, the Foresight Institute, ETS, Detroit Edison, Borgess Health Care, Continuum Health Care, National Institute of Supply Chain Integration (Chrysler, Honda, Harley Davidson, Proctor and Gamble, etc. ), the World Economic Forum, Canadian Imperial Bank of Commerce, US Air Force, TCCC, National Car Rental, Master’s Academy and College, BP, Budget, Seagate, Warner Lambert, HyperCar, Ernst & Young, Herman Miller, Capital Holding Corporation, Cap Gemini, General Motors, the Independent Bankers Association, FAA, the US Army, US Department of Veterans Affairs, Vanderbilt University, LifeMasters, 21 iNet/ Private Wealth Forum, Kaiser Ritter Partners, Ales Group Cosmetics, UniCredit Bank, eSpaces, Lend Lease Corporation, IDA, Shaw Energy and chemicals Group, Johnsonville Sausage. Environments for creativity and learning have been designed, built and provided for: Mentor Corporation, NASA, USAF, Capital Holding, Acacia Mutual Life, Vanderbilt University, Ernst & Young, Continuum Health Partners, Joseki Group, US Army, knOwhere Stores, Sojourner-Douglass Collage, Master’s Academy and College, U.S. Department of Veterans Affairs, the World Economic Forum, Ales Group, UniCredit Bank and a variety of individual clients. The particular challenges associated with this work have included organizational transformation, knowledge augmentation method and systems, mergers, supply chain management, information management systems, work process re-engineering, product design, developing marketing organization and channels, IT development and projects, executive education and mentoring, compressing concept to market time cycles, Strategic Planning, and activities related to setting the global agenda. He has published extensively on a web site at www.matttaylor.com providing over 12,000 (if printed) pages of personal reflections, documentation, designs and position papers. His work, as well as Gail Taylors and other collaborators, is further documented on www.mgtaylor.com. Matt and Gail have presented and developed courses on creativity at the University of Missouri, University of Kansas, and Lewis and Clarke University in the 1970s; workshops on education, closing the digital divide and corporate codes of conduct and social entrepreneuring at the World Economic Forum in 2001 and 2002. They facilitated several workshops at the WEF 05 Annual Meeting, related to developing the Global Agenda in 2005, inside a full RDS environment at Davos supplied by MG Taylor [link]. 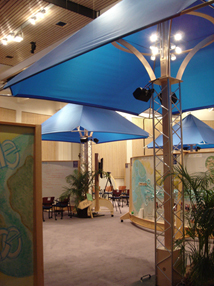 In 2005, The WEF purchased a MG Taylor RDS environment which was configured in partnership with Publicis for the 2006 Annual Meeting at Davos. Transfer, to Forum personal, of selected MG Taylor methods was conducted by Gail Taylor and MG Taylor ValueWeb members under license form MG Taylor. Transfer was such that the 2007 and beyond AM WorkSpace was conducted by the WEF staff and the valueweb of MG Taylor licensed KnowledgeWorkers [link: valueweb]. Faclitiation of IDA Board meeting. Installation of the mediaPOD prototype the University of Virginia Medical Center Radiology Lab [link: mediapod prototype]. Completed Learning Exchange environments for the U.S. Department of Veterans Affairs (VA) in Minneapolis and Cincinnati. 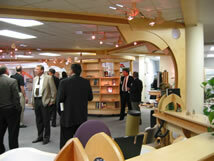 Five Learning Exchanges have been built and 12 more are in the design, manufacturing and building stages [future link]. Canada issues patent on Taylor System and Method. 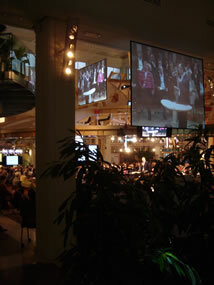 Video of WorkSpace participants reporting their experience at the 2008 World Economic Forum at Davos [link: 2008 wef]. Design of eSpaces new office hoteling concept [link: e spaces design]. Design of mediaPOD [link: media pod] for UVA radiology Department. This POD design incorporates technology concepts that go back to the 1960s, POD concepts from the 1990s with the last 20 years of built workspaces [link: 20 years of taylor environments] to create an affordable, flexible, trans-portable media creation and viewing environment that is adaptable to many uses [link: history of Taylor PODs]. Design and fabrication of Leopard Dining-Conference Room complete [future link]. Presented at the Stanford Media X summer institute workshop: Building Effective Virtual Teams [future link]. Phase II of the SDC Campus Plan construction will start in the summer with completion scheduled for January 2008. This work includes Library, NavCenter, new elevator and various renovations to the 1923 Building. Plans for the renovation and re-use of the 1869 building are underway, as well as, the Parking Garage and Hotel Facility across the street. The UniCredit NavCenter [link: unicredit navcenter tour], designed, fabricated and largely built in 2006 opened in January 2007. It will be the Fall of 2007 before NavCenter operations will begin. The Unimanagement focus for the majority of 2007 will be to bring a myriad of education courses on line for the senior 500 managers of the bank. For the fifth time, since 2001, Matt and Gail Taylor were on faculty at the Word Economic Forum at Davos, only this time with a difference. The creation of the the Davos WorkSpace [link: 05 davos workspace], the focus of MG Taylor, AI [link: athenaeum international] and Tomorrowmakers [link: tomorrowmakers] for the last three years, is such that it is now totally run by the WEF Team in collaboration with The ValueWeb [future link] of KnowledgeWorkers. Transfer of the method has reached a significant level and there are now two spaces at Davos dedicated to this brand and process. Matt and Gail enjoyed a week of participating in events rather than supporting and facilitating them. The DesignShop Delivery Company provided its first DesignShop, under a license from MG Taylor, For Accenure Consulting. 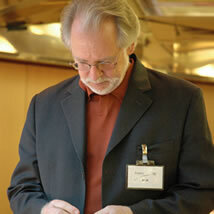 The event was facilitated by Rob Evans who ran the CapGeminii ASE practice from 1996 through 2005. TDSDC will focus on delivering DesignShop events for professional practice organizations. Preliminary plans completed [link: leopard addition - preliminary plan] for Guest House and Studio/office Addition to Stan Leopard Residence as exercise in postUsonian design [link: return of the usonian]. World Economic Forum deploys the WorkSpace RDS, with support from Taylor ValueWeb members, to Regional Summit meetings in Egypt and South Africa [future link]. Installation of Learning Exchange environment for the VA at Wade Park, Cleveland, Ohio [future link]. Design of NavCenter for UniManagement Executive Learning and Design Center for UniCredit Bank, Turin, Italy [future link]. Installation of NavCenter and CEO’s office at Ales Groupe corporate offices in Milan [future link]. Provided WorkSpace environment and method for World Economic 2006 Annual Meeting in partnership with TomorrowMakers, the MG Taylor ValueWeb in collaboration with Publicis and a WEF internal team. The WEF purchased the RDS environment with components developed in collaboration with the Publicis team. Aspects of the MG Taylor Method were transferred to WEF team members. This is a first iteration in an expected development and application process to enhance collaboration at WEF events through out the world. A new environment is in development [link: new - wef rds trees]. The Theme of the Annual Meeting was The Design Imperative and the focus for the WorkSpace, “the future by design, not default” - a long held concern of MG Taylor [link: beginning the second cycle]. Informal talk - “As We May (Re) Think” [link: as we may re think] and visit to IDIAP, in November, to discuss knowledge augmentation methods and technology. MOU with World Economic Forum to support the DAVOS WorkPlace in 2006, to transfer aspects of the MG Taylor Method to the WEF and develop next generation RDS [future link] for Forum use, globally, in 2006. DesignShop for Life Masters in San Diego employing new RDS manufactured for West Coast work. Taylor Architecture completes design and construction management of Charter School facility at SDC Campus, Baltimore, Maryland [future link]. With TomorrowMakers and AoGG, conducted “L-5” DesignShop in Liechtenstein to support development of European ValueWeb in use of MG Taylor Method. Opened RDS NavCenter in Liechtenstein to serve European work of MG Taylor ValueWeb - this facility has been operated by Kaiser Ritter partners since January 2006 [future link]. Completed Learning Exchange Facility for VA at Becksville, Ohio [future link]. Design and facilitation of 21iNet and Private Wealth Partners Annual Meeting at Bad Ragaz. Developed Scenario exercises based on Drivers of Change - 21st Century, developed by Al Gore [future link]. Keynote Talk and panelist - United Methodist Communications meeting [link]. MG Taylor deploys RDS to support collaborative processes and design of Global Agenda at the World Economic Forum Annual Meeting at Davos [link]. CalCar accomplishes prototype conversion of Toyota hybrid to electric option [link] and brings attention of this option to many private and public forums. Developed concept of the postUsonian prototype UsonianOne [link] - a recreation of the Usonian House by Frank Lloyd Wright [link]. Delivered talk Rapid Deployment Solution (RDS) & Club de Madrid - Advancing the Global Agenda [link] at A Meeting of minds about a green future, City of Ten Thousand Buddas [link]. Delivered lecture at SFIA: The Search for Authentic Architecture [link]. Publication of IMPACT: The Power of Group Dialog for successful Organizational Change authored by the Capgenini Utrecht ASE Team in Dutch; foreword by Matt Taylor in English. Attended book launch celebration at the Utrecht ASE. Opening and first DesignShop: Master’s Academy and College Collaboration Studio in Calgary, Alberta, Canada - the first NavCenter in a school [link]. Participant in Reinventing Davos workshop facilitated by the Architects of Group Genius with Gail Taylor, TomorrowMakers [link]. Extended License to Vanderbilt University to offer VCBH services globally, in non-profit and for-profit medical and pharmaceutical sectors. 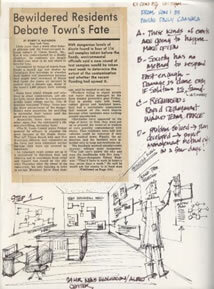 Offices for Mark Frisse and David Osborn at VCBH[future link]. 7 Domains Work Shop hosted at VCBH - 70 participants from over 10 NavCenters and ASEs, from US and Europe, to study and share practices of MG Taylor System and Method [link]. Office for Bill Stead at VCBH [link]. First VA Learning Exchange Center opens in Salt Lake City [link]. Design for the VCH Executive Offices employing new POD and Armatrure designs [link]. Seminar and dialog at Columbia University Library School of Education: The 21st Century Library [link]. AI develops new WorkWall [link]. MG Taylor establishes regional office at the VBCH, Vanderbilt University [future link]. Preliminary work with VA to design, equip, license, train and transfer 5 NavCenters to be called The Learning Exchange [link]. Lecture at SFIA: Redefining the Urban Work Landscape [link]. DesignShop for Master’s Academy and College to design new “campus of the future” and build NavCenter and R&D space in existing facility [link]. Palo Alto knOwhere Store closed due to ongoing down turn of business in the area [future link]. Sojourner-Douglass College move in - Phase I complete. Master Plan presentation for Phase II funding application [link]. Five page article [link] published in ECIFFO Vol.42 Spring 2003 (Japan) on the Palo Alto knOwhere environment with several tenant snapshots. Four page article [link] published in Confort Interior Magazine No. 55 (Japan) [link] on the Palo Alto knOwhere environment and Taylor design principles and methods. Gail Taylor resigns MG Taylor and knOwhere positions to return to non-profit focused work and launches Tomorrow Makers [link]. Design and project management of Urban Campus [link: sdc campus], Phase I, for Sojourner-Douglass College, Baltimore, Maryland - SFIA Architects-MasterBuilders with Scott Arnz and Ken Banks Construction Company. Facilitated design-session at the Palo Alto knOwhere Store with Hypercar [link], Inc. and a local consortium to explore the creation of the California Car Company to build a California SUV Hypercar - 50,000 units a year. This Launched the CalCar initiates to promote plug in hybreds. Created NavCenter [link] for the Vanderbilt Center for Better Health - The VCBH Innovation Center - Vanderbilt University, Nashville Tennessee - Athenaeum International with Bill Blackburn. This project includes an MG Taylor IP License and transfer process to integrate Taylor Methods into the VCBH RAM processes. Designed and built office environment [future link] for the Joseki Group, Menlo Park, California - SFIA Architects-MasterBuilders with Scott Arnz. Conducted, with Gail Taylor, workshop on Education at the World Economic Forum annual meeting in New York City. The Most Amazing Thing [link] by Robert Grudin published by knOwhere Press. Lectured, facilitated design studio and delivered Architectural Practice course [link] at San Francisco Institute of Architecture. Facilitated, with Gail Taylor, three day workshop at the World Economic Forum headquarters in Geneva for the Global Leaders of Tomorrow. Hilton Head knOwhere Store closed after 5 years of operation [future link]. Conducted 5 three day workshops at CGEY ASE facilities in Atlanta, New York, Dallas, Chicago, Cambridge, Utrecht on the Taylor System and Method as it applies to the ASE processes. Conducted, with Gail Taylor, four workshops [link] on: Environment, Education, Codes of Conduct, Social Entrepreneuring at the World Economic Forum annual meeting at Davos. Fortune Article featuring DesignShop process published [future link]. Managing Inter@ctively features Taylor/AI environments pages 59 to 69. Presentation [link] and seminars at Stanford Japan Center and the Kansai Silicon Valley Venture Forum in Japan. Delivered Lectures and Architectural Practice course at San Francisco Institute of Architecture. The SFIA Architects Practice organized. Detroit Edison NavCenter in operation. MG Taylor designated a Fast Company by FastCompany magazine. MG Taylor Enterprises exceed $37,000,000 in gross revenues over last five years. Bay Area Studio Project [link] designed. Foundation 2 Armature and WorkFurniture system by AI readied for production [link]. Introduction of the Baltimore Community Plan - a method for building sustainable economy in the inner city [link]. Borgess Health Alliance NavCenter environment, Kalamazoo, MI in operation [link]. Herman Miller DesignShop event to conceive a new product/service line. Hosted and facilitated annual Foresight Group Genius event on nanotechnology [link]. Leaping the Abyss regularly sold through Amazon.com and other Internet bookstores. Electronic Arts DesignShops on Online Gaming Strategy with AOL. Presented [link] at Rutgers University, with Michael Bednarek, A Systematic Approach to Structuring and Facilitating Value Exchange - Including a Solution to the Problem of Valuing Intangible Assets. AI MagicWindow - an integrated, portable multimedia and teleconferencing device prototype completed - an idea first formulated in 1982 [link]. Invented 360 degree, rotating elevator system featuring minimal footprint requirements for serving open, variable levels requiring multi-directional access. Formation of MG Taylor, knOwhere, Incorporated and Athenaeum International as independently operating Business Units. Sold Cambridge facility to Ernst and Young, LLP (now Capgemini), completed formal transfer of DesignShop process and negotiated new License Agreement. Design and construction of Continuum Health Partners NavCenter, New York. Hypercar DesignShop for Rocky Mountain Institute which lead to the creation of a new enterprise to promote Hypercar technology [link]. As early investor (1994) and Board member of Consensus Development corporation, an Internet Security software company, participated in the Consensus-Certicom merger creating a better than 20 times increase in value for Consensus investors (40 times for early investors). Gail and Matt Taylor conducted workshops at the first FastCompany RealTime conference, Monterey, California [link]. Opened Cambridge and Palo Alto knOwhere Stores. The Cambridge Store - 12,000 square feet) was designed and built in 30 days over the 1996 Christmas and New Year holiday period. It accomplished return of capital within six months. Filed patent, System for optimizing interaction among agents acting on multiple levels. Article in FastCompany published profiling Matt and Gail Taylor and the DesignShop Method [link]. Leaping the Abyss published [link]. Developed concept of PatchWorks Designs [link] as a method to extend collaborative design to asynchronous, physically-distributed organizations and networks. Started systematic Transfer of DesignShop process to Ernst & Young LLP. Opened Hilton Head knOwhere Store designed and remodeled between Christmas 1995 and first week in January. FAA certifies Boeing 777 waiving two year domestic flight requirement citing testing process at AEDC [link]. The 21st Century Organization Invitational DesignShop at Warton School of Business [link]. NASA LaRC NavCenter developed for re-engineering of wind tunnels [link]. Facilitated four F-15 DesignShops which lead to resolution of configuration management problem and continuance of production. A significant reduction in manufacturing costs was achieved by an Air Force and industry team over an 18 month period [link: f-15 performance]. First application, across multiple countries, governments, services and corporations, of the ValueWeb process. US Congress passes legislation allowing AEDC to do private sector testing. Numerous USAF DesignShops for test and evaluation community - all military services. Designed, with Gail Taylor, Capital Holding, Agency Group, Corporate University. Capital Holding, Agency Group POLY-CENTRIC reorganization plan executed. Designed, with the Weber Group, Capital Holding Management Center [link], Louisville, KY - first full expression of AI Armature, WorkFurniture system and multimedia integration. Designed, with Jerry Headly, Gossick Leadership Center at AEDC, Tullahoma, TN - which performed DesignShop events for USAF, Space Command, NASA and consortium of private US Aerospace companies [link]. Presented Breakthrough Award by Bill Rutley, Commander, Arnold Engineering and Development Center, USAF. Six DesignShops: City of Light for Orlando, California in sponsorship with the Bush Administration and the Orlando Chamber of Commerce. DesignShop for Disney Development Corporation. Conducted DesignShop event at Orlando Management Center and developed strategy for Arnold Engineering and Development Center (AEDC) which led to strategic alliances with US aerospace companies and Congressional legislation enabling private sector testing at AEDC. Developed workplace organization schema involving WorkPod and CubeOffice systems that provides knowledge workers more individual work space while maintain overall foot print density standards. AI - Athenaeum International, Inc. established to manufacture, build and equip high performance, collaborative work environments. Co-founded, with Gail Taylor, Camelot Excursions [link] and started restoration and development of CAMELOT a 22 ton wood gaff-rigged sailing vessel. Created 10 Step Process Model - the process engine for systematic knowledge development and reuse [link]. Capital Holding Design Center environment built and employed to facilitate the merger and re-engineering of several financial services companies. First AI furniture manufactured and delivered as products available to MG Taylor clients. MG Taylor Corporation (re)established after completion of Acacia work. Developed Kirshman NavCenter - prototype of present Centers. Created prototype integrated financial services environment and delivery system - Orlando, Florida for Acacia Mutual Life. Developed the Business of Enterprise Model - the foundation for the ValueWeb Enterprise concept that forms the basis of the MG Taylor Enterprise [link]. Facilitated FAA DesignShop and strategy - reduced air traffic delays 50% in 90 days. CyberCon Executive System with Bill Blackburn and Guy Groves. Served as 2nd Vice President, Acacia Mutual Life (1983 -1985) - Facilitated and co-developed integrated financial services program combining risk products, investment products and planning services for middle income and small business market. Taylor Associates bought by Acacia Mutual Life and moved to Washington DC. Taylor Associates, precursor to MG Taylor Corporation and MG Taylor ValueWeb, Mission Statement [link] developed and published in 1983 Business Plan and Stockholder Report. DesignShop method perfected and used for complex, systemic problem resolution with US Army Corps of Engineers. Response and training related to new battle doctrines was cut by significant amounts becoming a prototype method for the entire army. Built NavCenter at Ft. Belvoir for US Army Corps. of Engineers. Taylor Modeling Language [link] articulated and expanded. Independent Bankers Association DesignShop - Strategic response to banking deregulation. Designed integrated interactive, multimedia and networking system, with integrated knowledge-management, as model for 21st Century work environment. 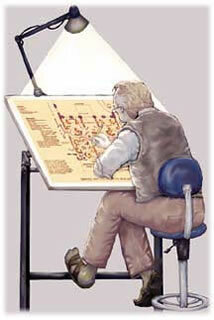 This forms the template for todays MG Taylor, knOwhere, AI technical systems [link]. Designed and built Anticipatory Management Center [link], Boulder, CO, first working prototype of present day NavCenter environments. The DesignShop method was developed in this environment. Affordable Housing Project for the City of Boulder . This project introduced a public/private partnership process that successfully executed a project. 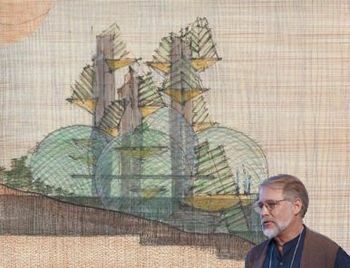 The design concept [link] (unbuilt) proposed a community in a greenhouse structure that featured lightweight re-configurable building units allowing residents to adapt, modify and customize their homes. The greenhouse dealt with weather, light and energy management leaving the building components free to address, privacy, utility and esthetic issues. First large WorkWall system built and used in conjunction with design processes implementing the first aspect of the Master Planning method. Authored, with Richard Goering, Designing Creative Futures - unpublished [link]. Conceived Creative Process Model [link]. With Gail Taylor, conducted creative thinking course at Lewis and Clarke University and the University of Missouri. Developed Scenario to the 21st Century [link]. 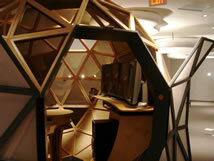 Presented EcoSphere [link], a prefabricated, movable in 100 pieces, earth friendly cabin at the JFK Forum, Kansas City, Missouri. Keynote Speaker at annual Menza meeting: THE SOCIAL ROLE OF INTELLIGENCE. Speaking Tour in California on alternative work-life styles. Numerous lectures and speaking on the future. RENASCENCE REPORTS published [link: renascence reports index]. Developed concept of progressive development of large-scale Earth Habitats as means of developing architectural methods and social processes for future space colonies [link]. Met Gail Taylor co-founder and director of the Learning Excahange, Kansas City, and started life-work partnership. 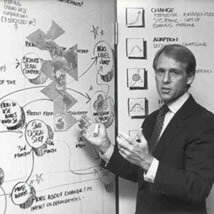 Established the Renascence Project, Kansas City, MO, to systematically develop and demonstrate lifestyle and technology alternatives. The Renascence Library became a gathering place for alternative studies, contained a comprehensive library of alternative and future studies books and materials and was recognized as a valuable resource by the heads of the Kansas City Library and Midwest Research Institute. Designed and built Lee Wald home office interior employing hexagonal module and combination of open space, commons and private offices. Project employed extensive use of interior landscaping making the work areas clusters in a garden (instead of plants in an office). Developed Design, Build, Use service methods with several retail and office projects. Designed MINIMUM LIVING UNIT [link]. Delivered ReDesigning the Future [link] course in Kansas City - a systematic overview of change and options to the year 2000. This research became the foundation for the Renascence Project (1974-1979) and formed much of the basis for the MG Taylor Corporation (1979 through present). Designed Steinmeyer house [link] a totally self contained off the grid residence (unbuilt). Developed Mega-City concepts and economic models [link]. Integrated design/build services, corporate image and advertising with day-to-day operations in retail stores reducing the typical concept-to-profitable-operations time to a few months. Provided design, construction management, staff development and marketing services for several retail projects. Implemented just-in-time inventory management processes. Costlow Architects chief draftsman for several motion picture theater projects. Developed prefabricated, movable units for drive-in theaters. Conceived Master Planning method [link] as an efficient means of expanding community collaboration and reducing conflict in the city design and development process. After 30 years of conceptual development, the first implementation of this method is planned to take place at SDC in Baltimore in 2005. Designed lightweight hybrid engine personal transportation unit. Developed the basic process of Weak Signal Research [link]. Perfected design/build, just-in-time, supply chain method radically reducing time and cost of construction while increasing design excellence and workmanship quality This method integrated - over a 7 year period - sales, financing, scheduling, fabrication, building and maintenance functions into a single method supported by a network of independent companies achieving a 75% reduction in typical construction time and over 40% reduction in average costs. Profits were shared equally throughout the supply chain achieving a fair and stable system that doubled producer profits (including worker wages) while significantly lowering customer ownership expense [link]. Developed innovative excavation and forming methods that radically reduced time, cost and error in volume construction. Developed precast concrete decking system for patios and swimming pools. Perfected transferable field layout system that decreased error and costs allowing high volume work to be executed with precision. Designed and developed integrated project management system for swimming pool and housing industries. Executed numerous landscape, swimming pool and house additions employing this method [link]. Conceived CyberCon system - partial technical basis for Patent (issued in 2001). 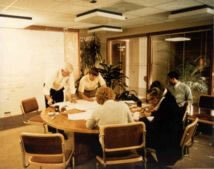 Director, New Products Research, Del Web Corporation - rationalized materials, methods and construction/fabrication details for Sun City projects in Arizona, California and Florida - Detail books were cut by an order of magnitude and the production drawing, biding and construction management process significantly simplified. Set up methods and trained management staff for developing a city of 40,000. Member on interdisciplinary team to design, engineer and prototype a power supply and 3d dental x-ray devise cutting the price of both an order of magnitude while exceeding existing industry performance standards. Conceived and applied pricing algorithm that radically reduced, time, error and complexity in bidding small structures: swimming pools, houses, apartment building. This allowed pricing and bidding of complex, custom projects in a fraction of normal time. Developed and delivered a 20 lecture course on the principles of Architecture. Developed UNIT HOUSE system a method of employing prefabrication methods to accomplish high variety and custom outcomes for standard-cost housing units. Opened general design practice, Phoenix, Arizona: graphics, advertising art, corporate image design, landscape design, product design, housing and furniture design, working drawing services and project management. Introduced PERT and CPM methods to several high volume track house producers allowing integration of contractors, subcontractors and project scheduling and cash flows. Built 40 unit motel, four guest buildings and office-residence building in 6 weeks employing prefabrication and Fast Track methods. Construction Engineer, two 25 story buildings, Tishman Construction - University Terrace project, New York City - poured one floor of concrete per day (425 cubic yards) and completed substantial build-out of the project in 14 months. Developed Fast Track design/build method [link]. Construction Superintendent, New York City - Bayside Country Club project and Apartment Buildings, Long Island, New York. Conceived state-sensitive, adaptable elevator system featuring multiple cabs per shaft and automated load leveling algorithm. Developed Gunite (sprayed concrete) and precast building method [link], Los Angeles, California. Gunite method influenced construction of schools in El Central, California. Chief Draftsman, Barclay Engineering and Construction - Universal Studios. Oversaw staff of draftsmen that executed contract documents for 40 - 40 unit apartment buildings - $40,000,000 project cost (1960s money). Design of American Pool Building and Cooper House [link] (both unbuilt) employing circular geometry and gunite construction. 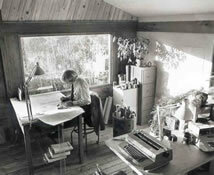 Spent intensive work-study week with Bruce Goff, architect [link]. Worked as designer-draftsman for Ray Levantas, architect, designed and did production drawings for several tract housing projects of several hundred units each. 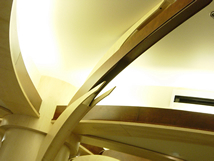 Studied architecture with Frank Lloyd Wright at Taliesin - Arizona and Wisconsin [link]. Designed first Mega-Structure Concept - integrated living, work and retail environment for California coast. Working for C.O. Peterson, Architect, produced contract documents for several telephone buildings - first experience of executing all technical drawings for large-scale structures. Entered architectural profession, San Francisco, California as office boy and junior draftsman with Welton Beckett and Associates. Presented experiential learning method to public and private high school board of professional educators - San Francisco [link]. Presented 26 story [link], prefabricated, one apartment per floor vertical Housing [link] condominium building on public television as alternative to suburban sprawl. Conceived automated, scalable, hybrid mass transit system that featured integrated private and public car units, private operations, prefabricated construction and state-sensitive navigation system [link]. Designed Nichols residence [link], Palo Alto, California - built in 1959. First executed work. The residence was featured in the Parade of Homes in 1964. Initiated self-study of architecture [link]. Born in Coronado, California to second generation Air Force and second generation construction families. The purpose of Matts work is to discover practical solutions to systemic problems and offer better alternatives that advance freedom, sustain-ability, wealth, beauty and happiness for all living beings. This work is based on the proposition that the practical and ideal are one [link] and that demonstration of this is found in good design and rigorous project management. The Earth is rapidly becoming a human artifact [link] and human societies and economies are now approaching the complexity of Nature herself. These realities require a new approach to work or complexity and unintended consequences will overwhelm our present society. Matt prototypes [link] new work processes tool-sets and environments, demonstrates them, and employs them as one example of how to create both components and systems for a sustainable future.